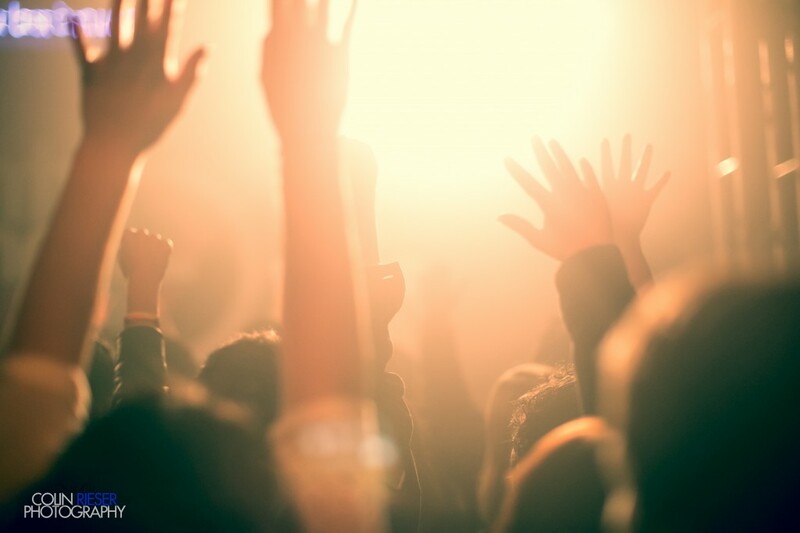 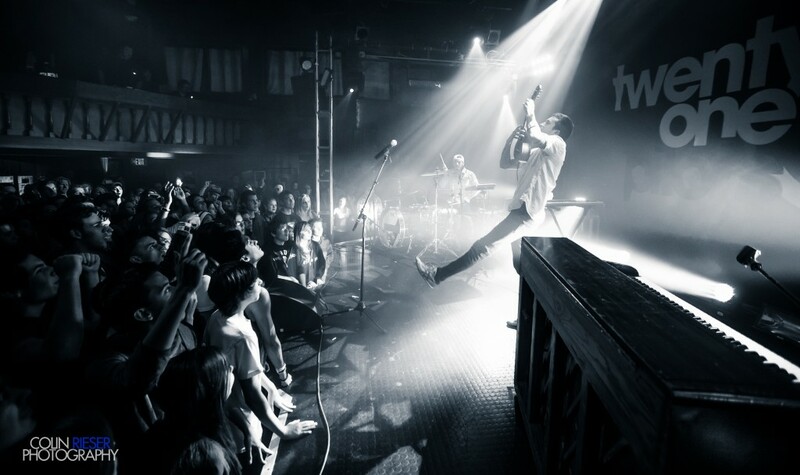 Sometimes we get a bit excited over here for a band a bit early. 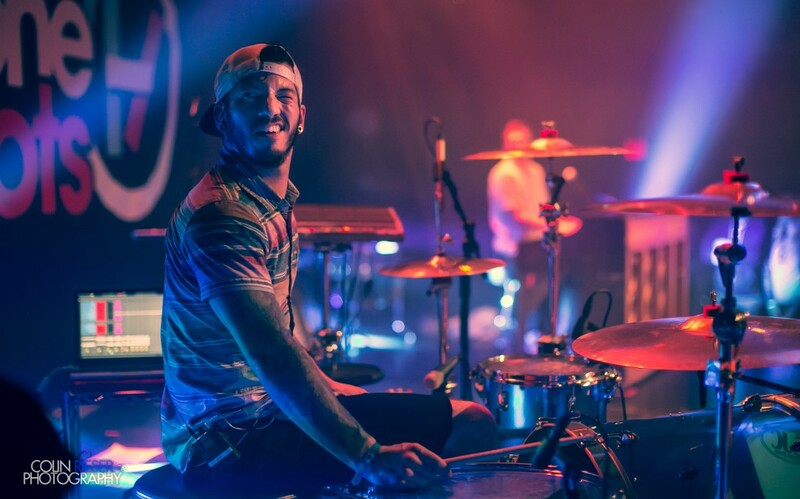 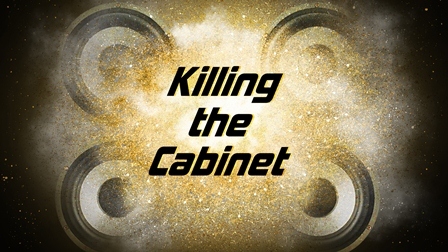 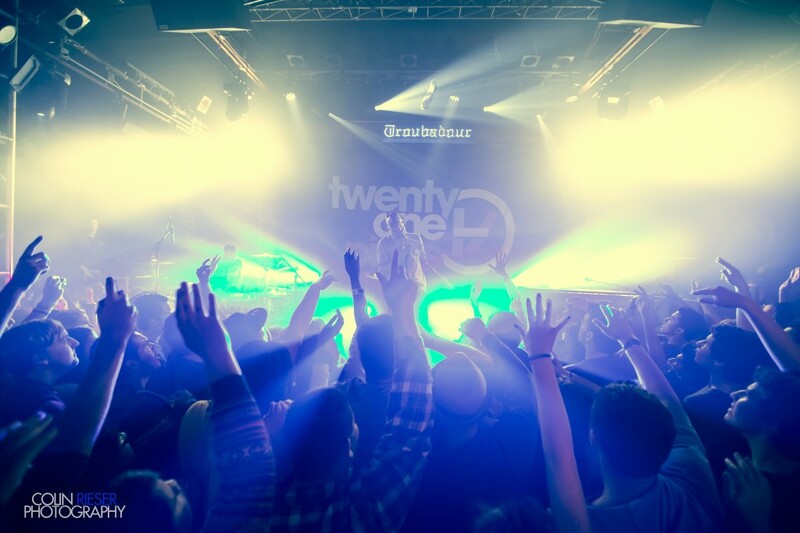 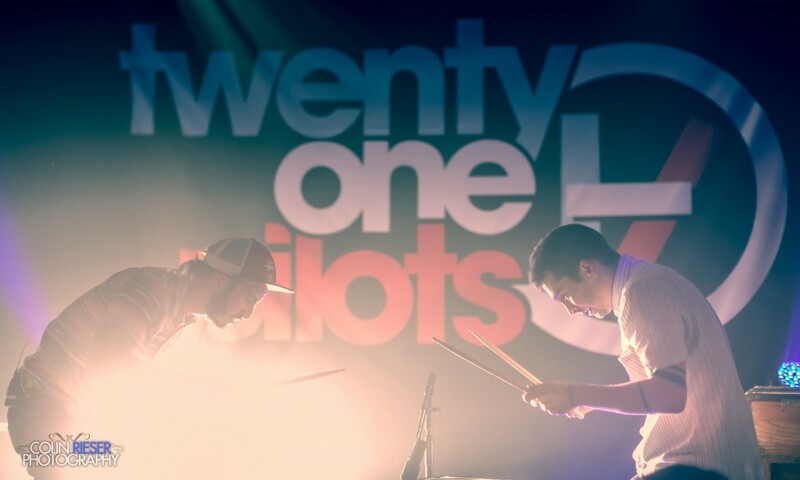 In the case of twenty one pilots, the excitement is justified. 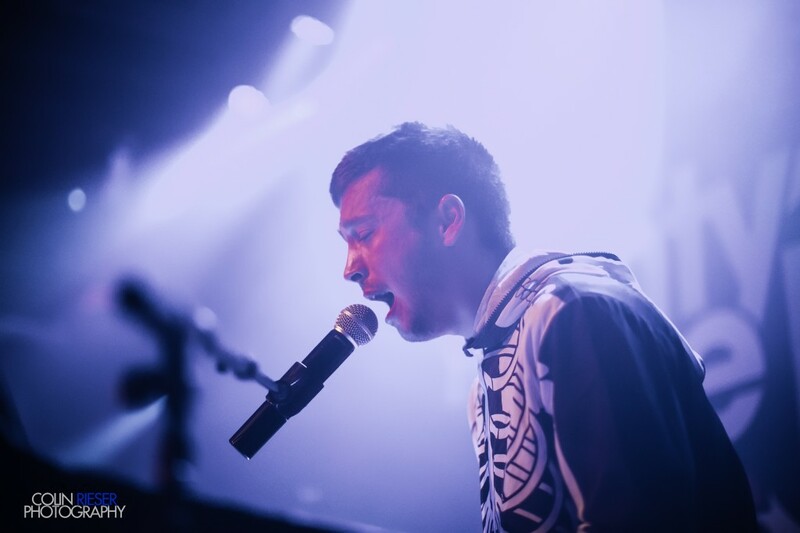 They just released a pretty great album titled Vessel (read Charissa’s review here) and are most probably bringing their “A” game to a city (or country) near you. 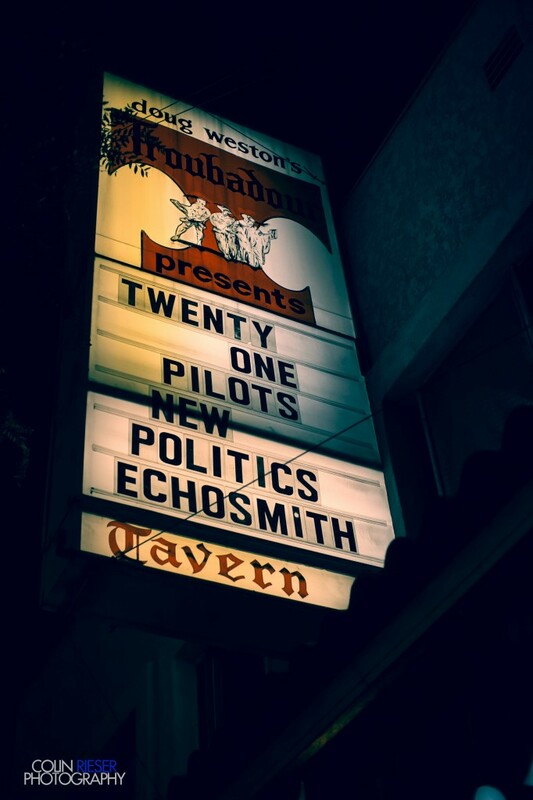 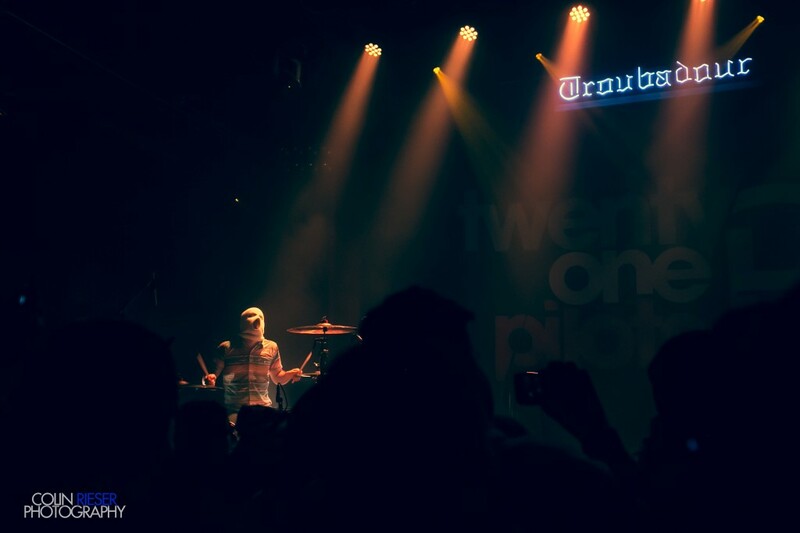 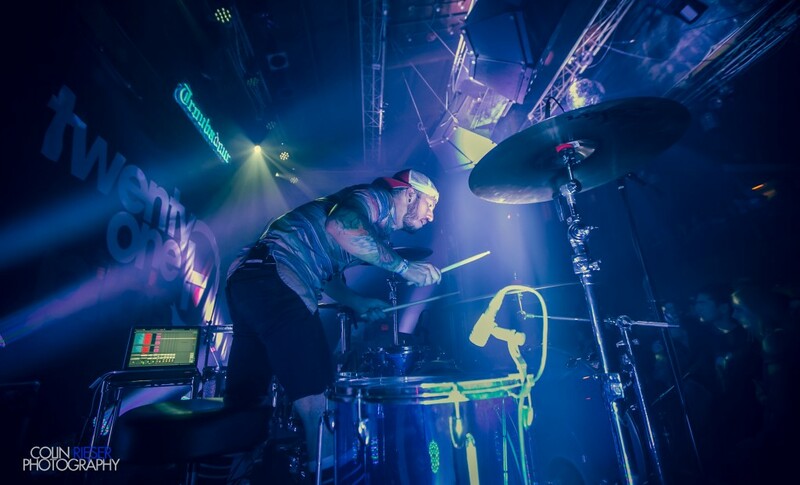 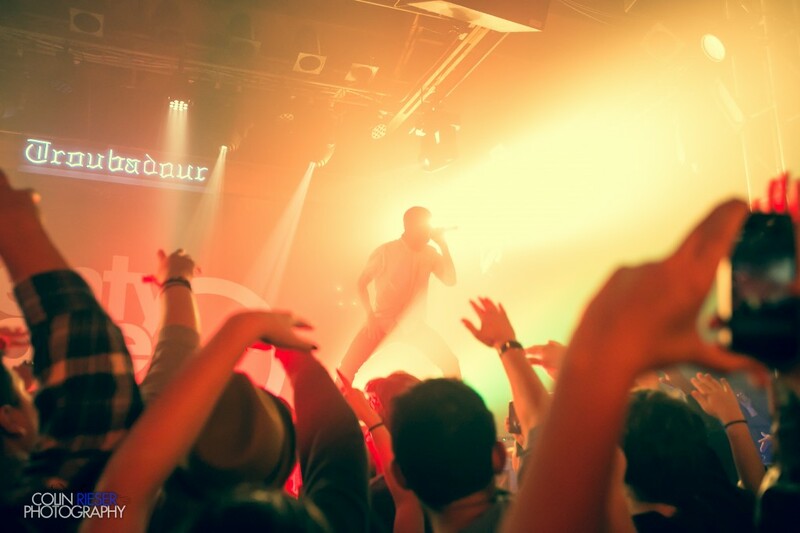 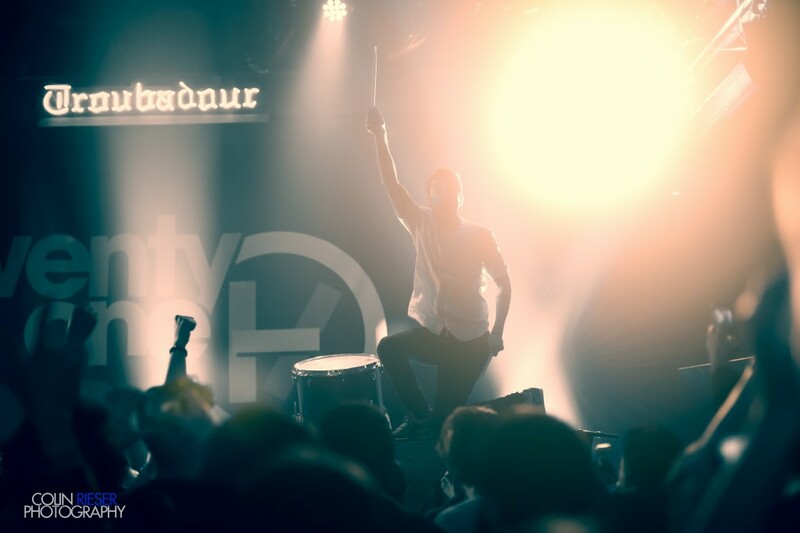 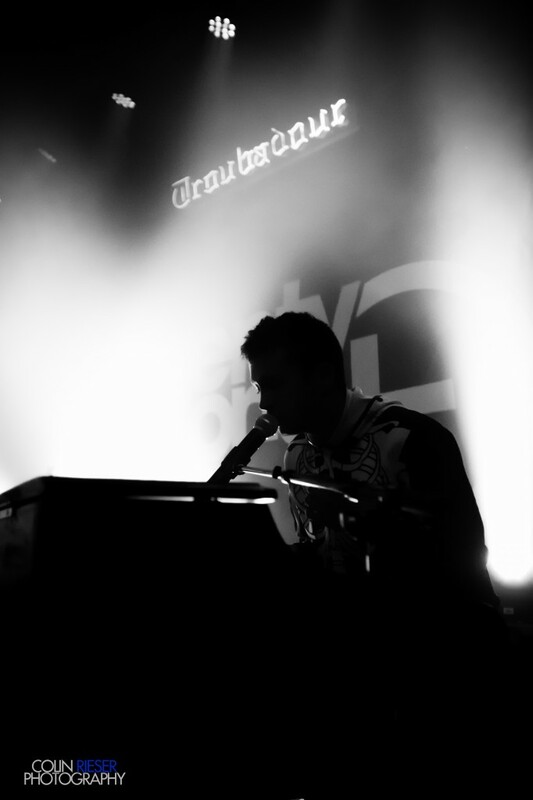 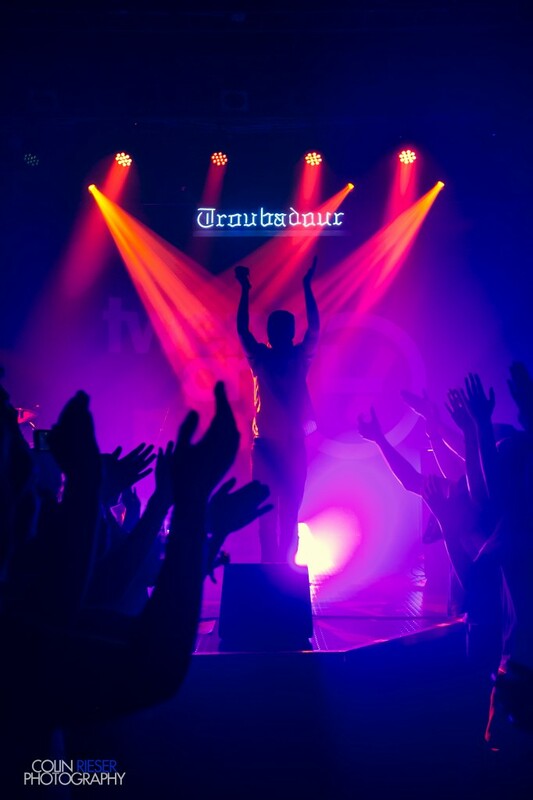 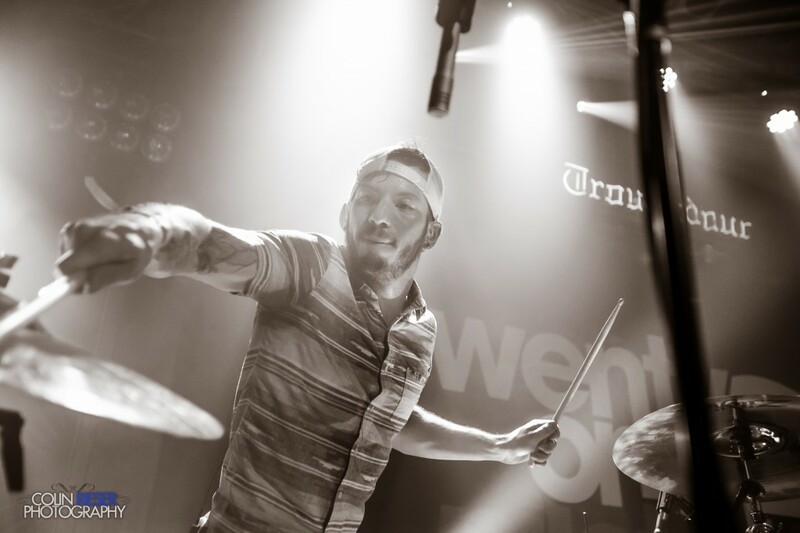 Here are some shots from their show at the Troubadour on February 20th. 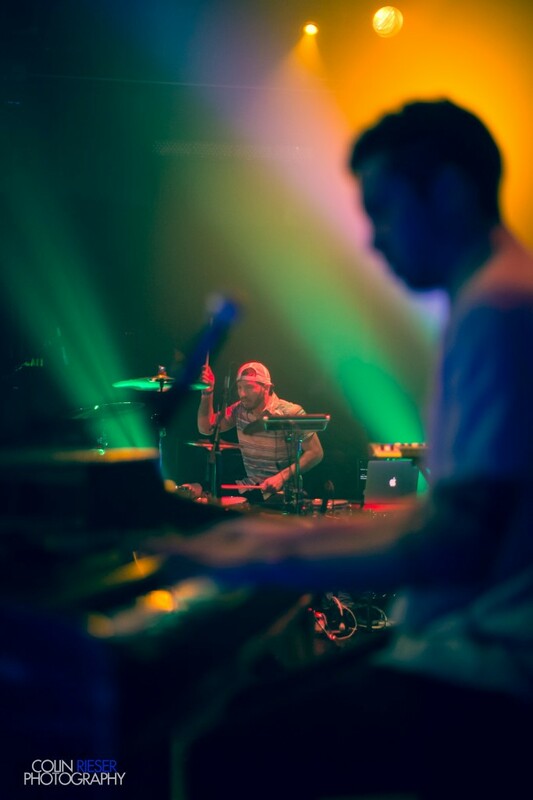 Look for these guys to light up stages across the U.S. in 2013.